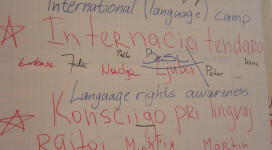 Kontakto is a magazine in Esperanto for people who are interested in other countries, people, cultures and societies. Kontakto readers come from approximately 100 countries and the publication of the magazine is a worldwide collaborative effort. 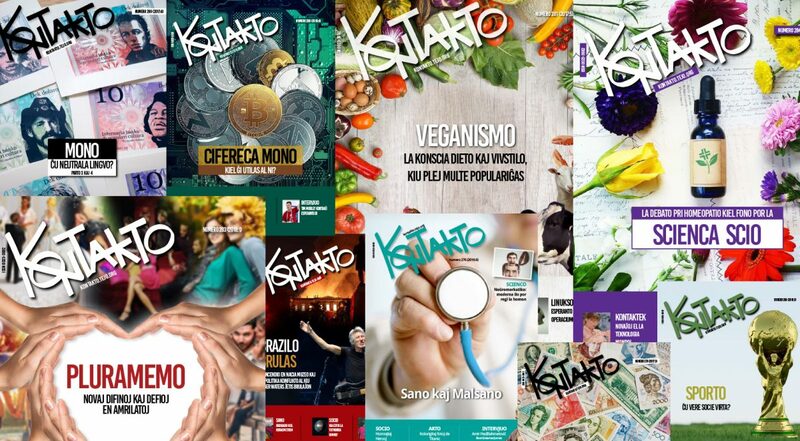 In every issue, a section is devoted to those still learning Esperanto, with articles written in easy or very easy language. Kontakto is one of the most well-illustrated Esperanto magazines. 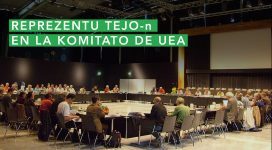 It is a co-production by TEJO and UEA, with six issues each year. 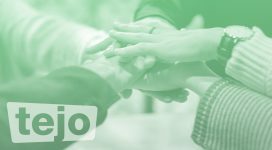 Individual members and patrons of TEJO receive the magazine automatically. Others can subscribe to it via their national UEA representative or directly with UEA. The subscription price varies according to the country you are from. Collective subscriptions are also offered, with a discount of up to 40% when 6 or more copies are sent to the same address. Following the publication of the printed edition, TEJO members and subscribers to Kontakto can download the magazine online. You will need to login with your Username and Password. On the right, you will need to select TEKO and then KONTAKTO. 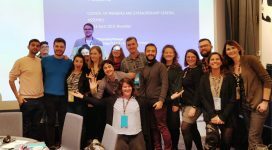 Writers and collaborators of Kontakto come from all over the world, and you are invited to contribute your own (preferably original) article to the magazine. Contributors receive a free copy of the magazine. Blind and partially sighted subscribers can receive an audio version of Kontakto free of charge. Send two 90-minute cassettes to Rob MOERBEEK, Zwaansmeerstraat 48, NL-1946 AE Beverwijk, Netherlands, with a Cécogramme for return postage. UEA: Nieuwe Binnenweg 176, NL-3015 BJ Rotterdam, The Netherlands. Tel. : +31 10 436 10 44 Fax: +31 10 436 17 51 Email: uea [at] co.uea.org.